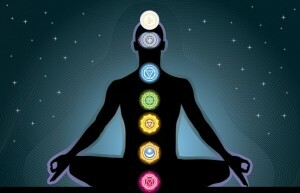 1We would suggest you to take the Chakra Test to determine which of your chakras needs balancing. 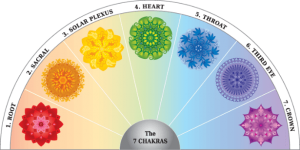 We would suggest you to take the Chakra Test to determine which of your chakras needs balancing. To heal our attitude towards the body means to heal our attitude towards the Earth. To restore its base means to rebuild our life and the foundation of all following. Firstly it is important to determine the status of the relationship of personality with the body, the foundation of it and the environment around it. The figure and the body shape and distinctive style of connection with the outside world are the keys to it. Recommended: The 6 Muscles Of “Spiritual Fitness” – How Strong Is Your Spiritual “Body”? 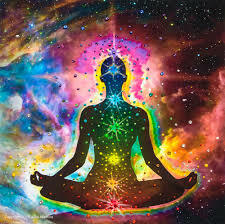 Carefully monitoring the way we walk, talk, move, breathe, sit up and watch speaks for the first chakra’s core models. Here we check the allegation of the internal process of the body – such as shrinkage, expansion, conflict, frost, distortion, activation, dulling or dissociation. For the Root chakra, to work directly with the body is more important. The grounding of the mind – Run. Running in fresh air is a great exercise for grounding. It energizes the feet, legs and the torso boosts metabolism and increases breath volume. Jumping – With each jump when going down, you need to bend your knees and sink into the ground. This helps to establish contact with the ground level simultaneously in two ways – by opposing the force of gravity and by sinking into the earth. This exercise also helps energize the legs. Sports here are very important for the Root chakra. You can use Grounding meditation techniques. When we enter into the second chakra, we go in the water realm of emotions and sexuality. While before we worked for grounding and stability in the first chakra, now cultivate feelings and movement; while before we have dealt with the survival and the structure, now focus on sexuality and pleasure. The element earth has changed with the element water, the hard has changed with the liquid. The second chakra is connected to the desire, pleasure, sexuality, procreation. If the inborn response of a person to a particular situation has been thwarted, then there is a constant tendency to recreate similar situations, in order to complete the initial model. If the blockade is serious, such situations cannot allow being completed, leaving us in a hopeless cycle of repeating negative traumas without being able to get rid of them and move forward. Get rid of any guilt in your life. When emotions are excessive, you can move your mind into sensations of your body. Emotions want to come out to act and to be recognized. We need to balance this, go and look at the Self within. By consciously directing our attention inward, the emotions are softened and this gives us a richer tapestry of information and communication. Drink more water and do some water sports. Use the cleaning power of the water. Healthy third chakra indicates energetic vitality. There are pleasure and enthusiasm for life – the Fire of life. Our sense of personal power gives us hope that we can make things possible for us, and with this positive outlook, we are not afraid to dare to go into the unknown, to take risks or make mistakes. We do not lose our direction when we meet a challenge and go forward with strength and will. We are glad that we are engaged in activity that brings challenges in the world. The activity develops our sense of power, through the continuous emergence of new challenges. The development of the fire means to increase metabolic energy. The first step in this process is to review fuel used to generate the heat, pay attention to your diet. Eat more often – foods that are healthy and makes you feel good. Make meditation that leads to deep relaxation. Practicing yoga helps relaxation and flexibility, gently removing blockages that will be untied, because of the stretch. The heart chakra is the midpoint in the system of the seven centers, the balance is an essential principle of this level of integration. It includes both internal balances between the different aspects of our personality (mind and body, persona and shadow, male and female) and balances between us and the world around us (work and play, giving and receiving, social communication and loneliness). Finding this balance, support the general love and respect, because without balance within us is difficult, if not impossible, to achieve strong and lasting love affairs. Love – All wounds call for the universal medicine of love. Being the cosmic fuel of the universe, love is the force that binds the depths that divide us! Breathing exercises of yoga (called pranayama), which helps to open the chest and load your body with the vital energy prana, which is the element of air. The Tears – Unrequited grief restricts breathing and deepening of breathing often relieve sadness. Sadness is like a heavy cloud in the air, which darken the sky, but once it pours rain, the sky opens to allow the sun to shine again. In order to achieve the balance this chakra, the body must reach a certain level of cleansing. As the upper chakras are more subtle, they require greater sensitivity and purification of the body. The fifth chakra is associated with the sound and vibration. The sound has a purifying effect because it affects the cellular structure of matter. The Enveloping element, air surrounds us, but still penetrate beyond into the unknown ether – the field of vibration, the sound, communication and the creativity. Elimination of noise pollution, paying attention to our bodies, opening voice by adjusting, chanting or singing, learning skills for clear communication and self-comforting enough to hear the more subtle vibrations and messages inside. Writing is a form of communication that transcends time. Sit down and write unexpressed and unresolved disagreements, using several forms of communication. The writing is aimed at discovering your own voice. You should start by writing what you want. Here we begin to travel to the higher parts of the physical body. Here we begin to experience the formlessness consciousness, intuitive senses, feelings and touch and see beyond the five senses. This is our spiritual eye. Element of this chakra is light, a higher and more rapid vibration of the sound in the lower chakra. Through light we are endowed with the ability to see, to take away from the outline and shape of things around us. This amazing action of seeing is the main function of this chakra, but it involves far more than seeing with our physical eyes. Physical perception tells us that something exists, but only the inner vision can tell us what it is. 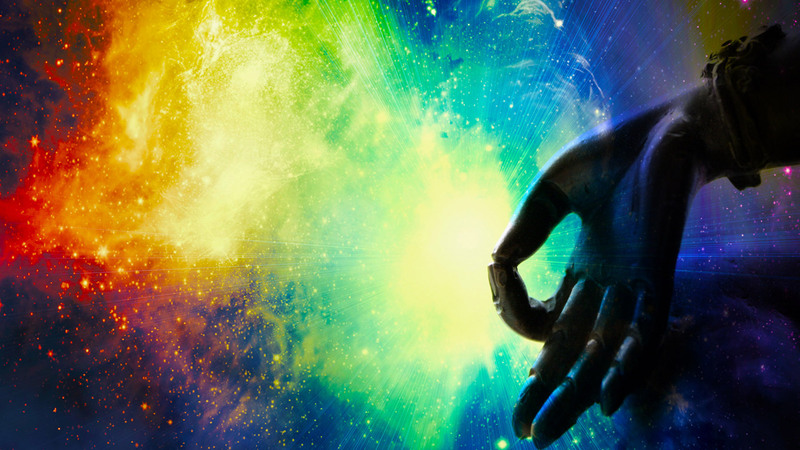 Visualization – if we want to develop our psychic abilities, it is useful to learn to visualize. We can start with a simple exercise for visualization: Imagine a cup and fill it with water. Imagine it full, half full, empty or filled with red, blue, cloudy or clear water. Imagine ancient engraved glass with drawings on the outside and then imagine that the glass breaks. Enrich this exercise as you wish – just focus on the willful formation of images. Remember your dreams– Every night when you go to sleep, express statement that you will remember your dreams. When you wake up, do not change your position before reviewing your dream in this semi-conscious state. The Seventh Chakra is also called the Crown or coronal and is located on top of the head. It begins its development at the age of about 26 years, when/or when the sixth chakra is fully developed. When a person is with a strong and balanced seventh chakra, you can always feel/see a great white light around his body. It seems that he shines like white light emitted by a very powerful sun. Anyone who once unblocks the 7th chakra will confirm the fact that He is forever changed -It’s like a rebirth, like being born again. The feeling of love is increased to the extent that everyone feels it. Of all the methods of treatment and the development of the Seventh Chakra, meditation is perhaps the most powerful tool we have. Attention is extremely important key to keeping a conscious life. This includes attention to notice a subtle flavors and textures of every moment and appreciate the many interwoven levels in them without attachment to any particular level. Attention brings our entire consciousness in the present moment, making us able to experience things fully. This fullness attention brings satisfaction in our lives, as we are immersed in the incredible treasure every moment. I AM- Exercise for guidance from the higher I AM: speaking with God. Create a mental image of your idea of deity. Then consider a difficult question for which you are looking for an answer. Say your problem in the form of matter that can be placed on this higher being. Once you describe your deity and named your question, change your seats- Now imagine that you are the God that you visualized. Actually feel it; Immerse yourself in the experience and answer to the question.